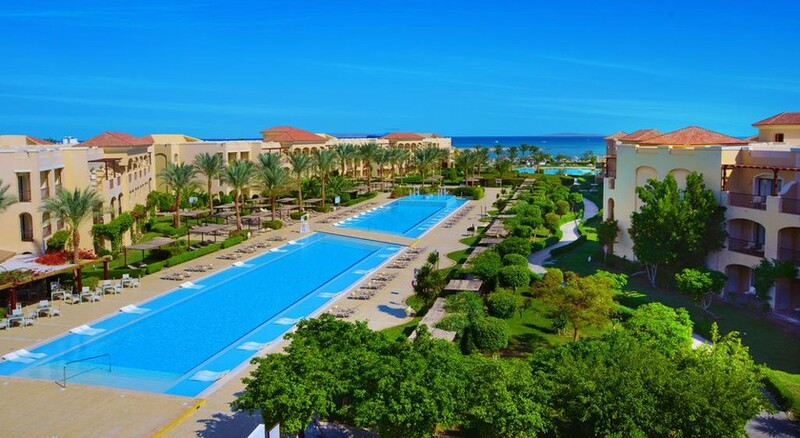 Jaz Aquamarine Hotel is a luxury property that comes with a private beach and 17 swimming pools, including one lake-sized pool and two waterparks. 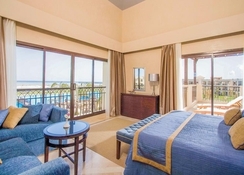 Located in the district of Magawish in Hurghada, Egypt, the hotel is a little paradise for beach and watersports lovers, alike. But not just the pools, the hotel’s got a classy dining scene, too. With its six fabulous restaurants serving local and international cuisines, including Oriental and Asian à la carte, you will surely feel gastronomically rich staying in this hotel. The evenings in the hotel are fairly entertaining where you will see musicians, belly dancers and whirling dervish take the outdoor stage. 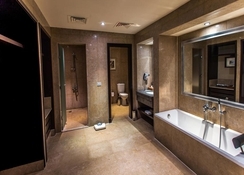 Other than that, if you’re in mood to pamper yourself, there are two adults-only whirlpool baths and spa therapies. Whereas, fitness fans can make their way to the free gymnasium. 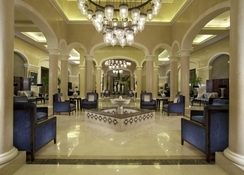 Jaz Aquamarine Hotel is located in Hurghada that is blessed with a wonderful climate and warm temperatures. If you like shopping, then head to the town centre, brimming with plenty of shops and mosques. Watersport lovers can try fantastic windsurfing, sailing, deep-sea fishing, swimming, snorkelling and diving. The Red Sea awaits to be explore. The area is famous for its marine life. 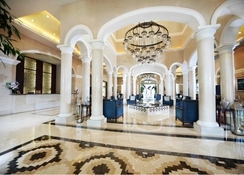 Once you enter the hotel rooms, you will have a relaxed feel. Decorated with natural colours and tiled floors and well furnished with air-conditioning, a satellite TV and tea making facilities, the rooms are surely a real treat. If you are staying in family deluxe room, you will have a queen-size bed and a sofa-bed, whereas, if you opt for family room, then you have two sofa-beds. You also have an option to upgrade to a sea view, too. The hotel also has family swim-up rooms that come with direct access to a pool from the terrace. 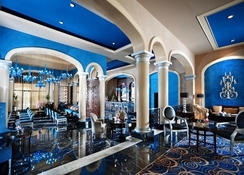 The hotel features six restaurants. Its main restaurant serves meals in a buffet style. There’s another buffet place that serves speciality cuisine, which gives you the flavours of Egypt, Italy and Asia. 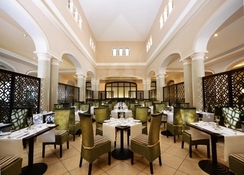 For a la carte menu, you have seafood and Italian restaurants that are highly rated on TripAdvisor. And then there’re Asian restaurant and al fresco Oriental restaurant to try something different. The hotel’s jaw-dropping 17 pools and 2 waterparks take most of the applause here. One of the bigger pools are adult-only where you can enjoy some water-based activities like aqua aerobics and water polo. Other than that, you’ve got tennis, Zumba, belly dancing and beach volleyball. For kids, there’s a club specially designed for kids between 4 to 12 years, plus, a playground for letting off steam. Other than that, the entertainment options are quite interesting, like a local singer or dance act every evening, and belly dancers and whirling dervish are weekly programmes.